My sisters self hosted personal blogs under wordpress platform had finally set up. 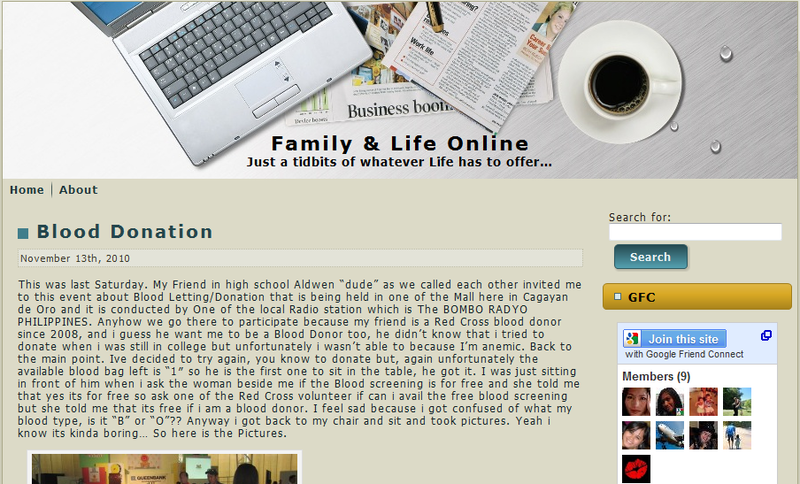 I bought them a domain (family-lifeonline.com) and contacted a hosting services to help me out set up the blog. My youngest sister had so much fun learning and exploring the wordpress platform blog and theme. There are many advantages of having a self hosted web blog. Most adverts prefers a self hosted website to avoid downtime. You have full control of your blog as no one can disabled your websites visibility. Learn more why web hosting is important by checking out hub at webhostinghub.com. The great web host solution for bloggers and small business online. Web hosting hub offer the easiest way to get your new website online and makes it easy to move from your existing web hosting company. There is no-downtime transfer on your website, as well as host unlimited websites. The web hosting hub offer the best and most reliable unlimited personal and small-business web hosting guaranteed. Give it a look at their offers and hosting features whenever you decide to open an online business or even personal website. Contact web hosting hub today and good luck! Amen...ehehhee...maong nag pa enroll napod ko..ehehehe..thanks to you bayot!